Sorry, I don't seem to have a 'user certificate' management system that I can find. I'm running Windows 7 SP1. I'll delete and test with revocation turned back on tonight. Make sure you install the X3 certificate per the instructions in my last post before trying. Without the X3 intermediate certificate installed it will still fail. Uninstalled X1 cert, installed X3 cert, turned on certificate revocation check, rebooted and i'm in the game. Can confirm, I had Let's Encrypt X1, replaced with the X3 certificate per your instructions and now I'm good. Thanks a ton Cipher! Awesome! Glad to have you guys in-game again. Hopefully this week I can submit a patch for the Launcher to detect and resolve these kinds of problems automatically so nobody else has the same problem. Tsaavik, getting Valid=false on that page is actually the expected output when you visit in the browser, don't worry about it. As long as you're able to get in now you should be fine. If you guys have any other problems don't hesitate to PM me on the forums and I'll do what I can to help. Thanks so much KSerge, Karu and Cipher!! Just incase it helps a future adventurer, I always got the website served in IE (and chrome) properly with the (bad|outdated) X1 cert. So that is not a good test for the old cert, you have to check you certificate store. Thank you everyone for documenting the changes you made to resolve this issue. I had this issue come up after switching to a mobile access point so I could play on the move. Previously had no connection issues what so ever. After switching to the mobile access point I started receiving the INV-300 error. I followed the instructions provided by Cipher and installed the x3 Certificate. I also made sure the windows clock was properly in sync and any firewall settings allowed access to the launcher and client. It successfully resolved the INV-300 Error. However another error came up, "Your login doesn't appear to be valid, please use the default launcher". I searched another thread and someone suggested that it might have something to do with how the Mobile ISP routes traffic. One suggestion was to use a VPN which seemed like a quick and easy fix and it worked. I'm in game with no more connection woes. Just wanted to share in case this might help someone with similar issues. I'll post on the other thread as well. Thanks for everyone's help! 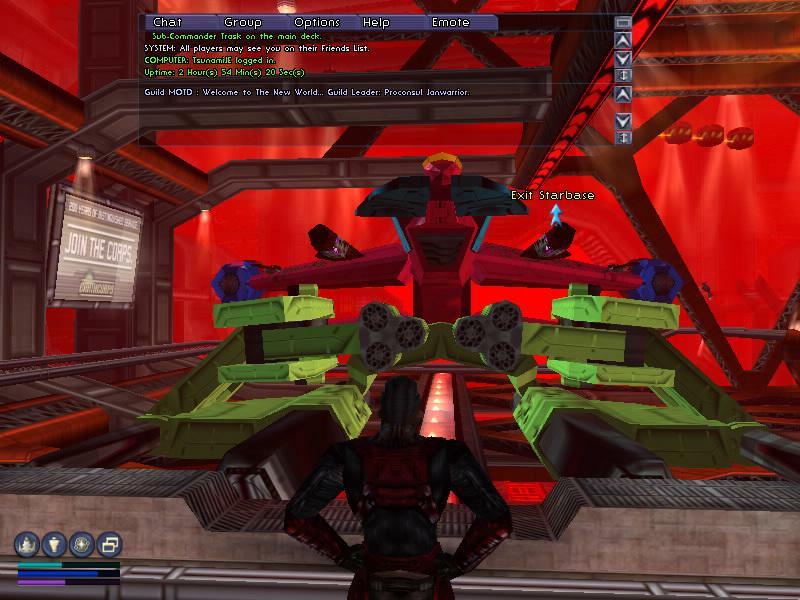 There is server Maintenace happening, KYP posted this update several hours back announcing it. I think it is the Hosting service not our servers that is under maintenance. 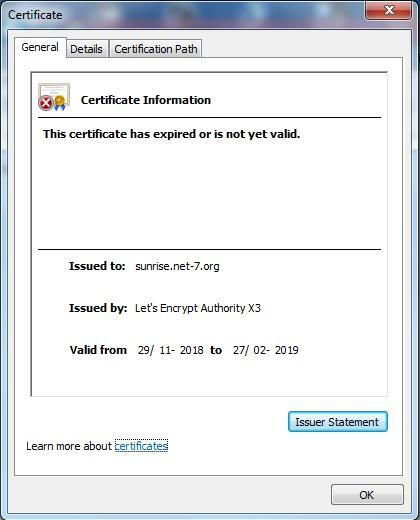 I see that the sunrise certificate ain't using the same certificate, as the remaining, of the net-7.org . I have access through Windows 10 Pro, by disabling Certificate Revocation!! 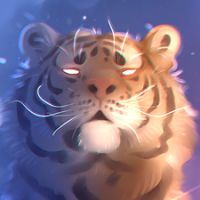 EDIT: I have put this on SERVER STATUS (current) as well. 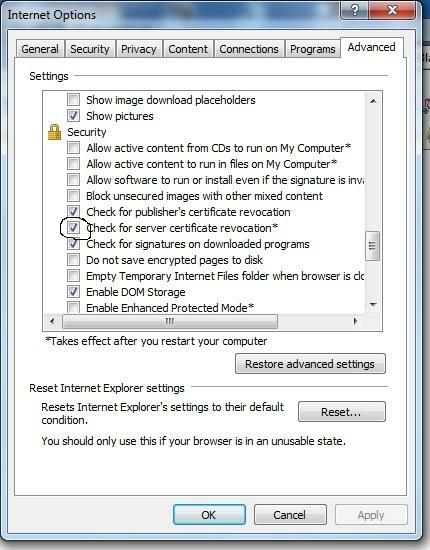 Uncheck "Check for server certificate revocation*", and then restart your computer. I see afew more made it in to the game but i'm still getting the INV 300 . That is because the SSL Certificate has expired! In order to get in, follow the instructions, that I have posted. Many thanks Janwarrior for a "Work around solution," however I'll wait till they get a proper fix in place (i.e. a new certificate thats valid) as I do not intend to place my systems at risk using the afore mentioned work-around and I be abscent minded and browse someplace I shouldn't an get compromised. However I would have thought there would be some checks within the system/administration to cater for such an oversight that ultimatley goes back to Kyp? The work you guys do on our behalf in your spare time is highly under valued most of the time so whilst we/I whinge and moan about "unavailability and bugs/lack of content and yes the dam proxy.exe," please be asured I for one value all your efforts on our behalf. Starting? Considering all the hours you're online my friend -- I'd suspect you of reaching for the liquid tranquilizer bottle yesterday afternoon at the latest.